Save the Date for Attorney Trent Cotney’s presentation on the OSHA Inspection and Citation Process. Attendees will learn about what to expect during an OSHA inspection and how to react if a violation is found and a citation is issued. Owners and Senior Management Staff are encouraged to attend. Recently, OSHA published an 11 minute video on determining soil types for trenches. With trench work being one of the most hazardous working conditions, we encourage all of our employers to view it! OSHA inspectors finished 32,396 inspections in FY 17. That’s up 1.4% from 2016 when there were the fewest inspections conducted in 20 years. Both are still well below peak years of the Obama administration, when the agency conducted more than 40,600 inspections in both fiscal 2011 and 2012. The OSHA Recordkeeping Rule requires employers to electronically submit their OSHA injury and illness logs. The electronic recordkeeping rule requires employers to electronically submit their injury and illness logs—Forms 300A, 300, and/or 301—to OSHA depending on the size and industry of the employer. Originally scheduled to become effective this summer, it has now been postponed until December 1, 2017. OSHA delayed this deadline, in part, to finalize its newly launched website, the Injury Tracking Application (“ITA”). This website allows employers to submit injury logs annually moving forward. Transmitting electronically via API, if the employer uses an automated recordkeeping system. What is the best method for your company? Where can you find the ITA website? How do you know if you fall under this rule? Join us at the Webinar on October 4th to find out! Peter Shackford of Hettrick Cyr and Associates will provided a refresher on the rule and even conduct a walkthrough on the new OSHA Reporting website where employers can submit their injury logs. The Fall Training below is filling up fast but we still have openings. This is a great opportunity to have you and your employees receive free training on fall protection. The intent of fall protection is to save lives and prevent injuries. Attorney Jim Laboe will present on how companies can prepare for and manage an OSHA inspection or violation. Owners and Senior Management Staff are encouraged to attend. Given the increasing focus on safety, you would expect OSHA had a busy year. However, continuing an ongoing trend, OSHA inspections dropped to the lowest level in 20 years. This marks the 4th consecutive year that inspections have fallen. In the Northeast, inspections of construction contractors have fallen by more than 30% over the last 5 years from about 6,800 to about 4,700 total. The graph above illustrates the Northeast average compared to the average with its three biggest states. These declines in the Northeast make up about a third of the overall decrease in construction inspections nationwide. The OSHA budget peaked in 2012, but was down by about 3% in 2016. OSHA has cited budget cuts as causing the decrease in inspections. However they have found citations 5% more often than in 2015. In addition, appeals of OSHA citations were roughly equivalent in 2015 and 2016 at around 9%. NERCA recommends our members always seek a legal safety consultant before settling a case with OSHA. Donald Trump has selected Andy Puzder to serve as his Secretary of Labor. The CEO of CKE Restaurants, Inc. which owns Carl’s Jr. and Hardee’s is an interesting selection by Trump who had toyed with appointing Victoria Lipnic, the current head of the Equal Employment Opportunity Commission, and a former Workforce Policy Counsel to the House. Puzder is an interesting man, he attended Kent State, but dropped out in 1970 following the Kent State Shootings. In his own words, “I spent the next three years attending concerts and marching on Washington”. After moving to Cleveland he graduated college and got his law degree. As a young corporate lawyer he helped rescue Carl Karcher, founder of Carl’s Jr. from financial troubles. 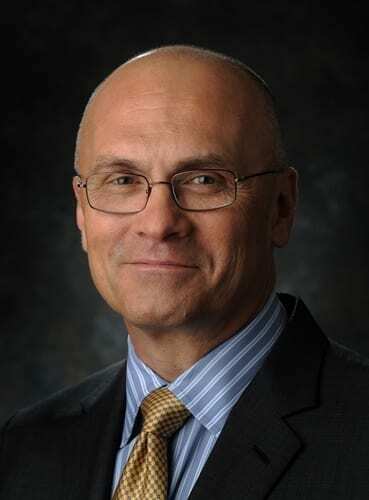 Years later, when CKE Restaurants fell into more financial difficulties after purchasing Hardee’s, Puzder was named CEO by the Board and tasked with turning it around. Mr. Puzder has not been without controversy during his tenure. Franchisees overseen by CKE have been targeted by DOL in the past. Hardee’s Food Systems was found in violation of wage laws and ordered to give back pay to a group of 456 workers in 2006 and 2007. This money was owed for overtime on hourly employees. It is perhaps unsurprising then that Puzder has signaled that he opposes the Obama Overtime Rule which has already been blocked by the courts, and is most likely dead on arrival in a Trump Administration. The effect of a business executive running the labor department will be interesting to watch. Like Mr. Puzder, the Secretary of Labor has traditionally been a loyal supporter of the president, but unlike Mr. Puzder, most former Secretaries of Labor were career bureaucrats not as well versed in the corporate and financial worlds. As we have written about at length, OSHA is now requiring the reporting of workplace injuries in to improve overall data collection. As a result, OSHA believes this will give a reason for employers to discourage reporting of such injuries. Therefore, OSHA is also providing guidance on the policies and procedures which employers can use to deal with workplace injuries.